Located in north-eastern Mexico, the state of Coahuila is one of Mexico’s largest steel producers. The western part of the state forms an arid desert and hence most of its population is concentrated in the relatively moist north-eastern highlands. Coahuila is also known for its wine breweries and vineyards that contribute heavily to the local economy as well as culture. The city of Parras de la Fuente conducts an annual wine festival called la Feria de la Uva y el Vino with much pomp and fanfare. It is interesting to note that the first plate of Nachos, a staple when it comes to the delicious Tex-Mex cuisine was served in the city of Piedras Negrasis, a part of Coahuila. 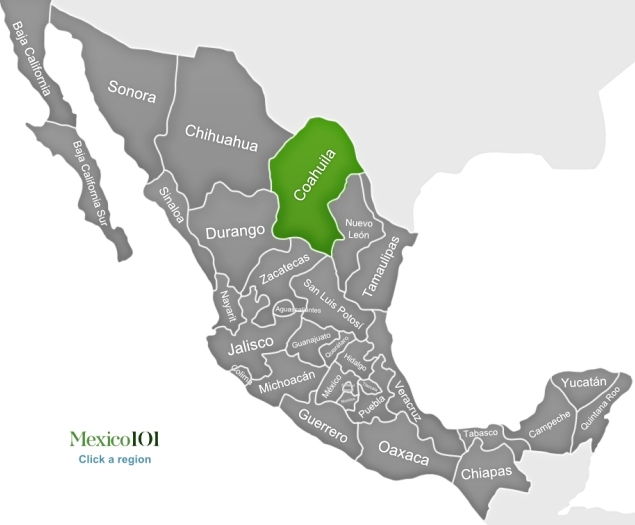 The geography of Coahuila is dominated by the Sierra Madre Oriental ranges that run in a north-east to south-west direction across the state. 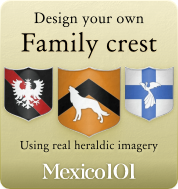 To its west lies the arid region of the Mexican plateau, extending further into the Chihuahuan desert. The eastern part of the state lies on the wet slope of the Sierra Madre and is drained by several rivers like the Salado that facilitate irrigation as well as agriculture. To the north of Coahuila runs the Rio Grande that further extends to United States as the southern part of Texas. Due to its varied topography, Coahuila is home to two rich biodiversity reserves. As already stated above, the state of Coahuila is an industrial hub. Apart from being a major steel producer, the state also boasts of having the only coal production centre in Mexico. More than 200 maquiladoras or manufacturing assembly plants are operational in the state today and participate in engine manufacturing, metal stamping and automobile assembly activities. In recent years, Coahuila has made a name for itself as an automobile manufacturing paradise, much like the once glorious Detroit. Agriculture also contributes in a big way to the state’s economy, primarily due to its sizeable amount of cotton production. Potatoes, oats, corns, grapes etc are also grown in several parts of the state. Saltillo, the capital of Coahuila is a delight to visit. A dynamic city with a rich industrial past and remnants of colonial days, the city is famous for its multi-coloured blankets called sarape. With its iconic steel cross, baroque architecture and ornamented pillars, the eighteenth century Cathedral of Santiago in Saltillo, is a majestic structure that bears witness to Mexico’s colourful history. 150 kilometres west of Saltillo lies the town of Parras, the Oasis of Coahuila. With its decadent vineyards and colonial architecture, Parras is an escapade into fresh air. Coahuila is also a major ecotourism hub, with the Cuatro Cienegas Nature reserve playing home to numerous endemic species as well as being the spot for adventure sports.